Where and how to apply for Ukrainian ID card also known as local or internal passport. Procedure and costs. Starting from January 11 2016 Ukraine began to issue new internal passports also known as ID cards. Right now Ukrainian citizens who turned 16 years old can apply at local offices of State Migration Service of Ukraine located in every city except occupied parts of Lugansk and Donetsk Regions and Crimea. Applicants should provide birth certificate and two photos 3.5 x 4.5 cm. ID cards are issued for free and ready in 20 working days (one month). Old local passports are still valid. Ukrainian Goverment plans to finish the process of changing old passports to new ID cards in the next 5-6 years. It is also planned that ID cards will be issued for Ukrainian citizens starting from 14 years old. 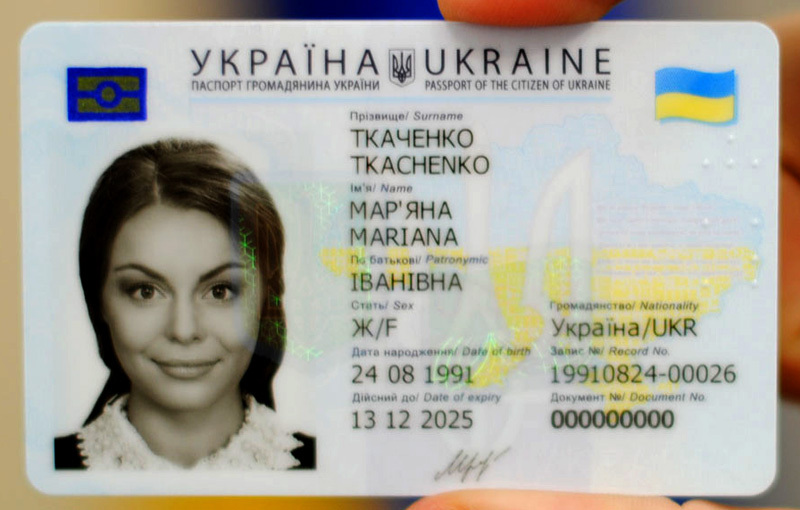 Sample image of Ukrainian internal (local) passport aka ID card in 2016.